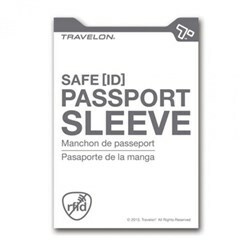 The Travelon 42223500 is an anti-theft classic waist pack with RFID protection which is a great way to travel hands-free and to protect your belongings from pickpockets or thieves. 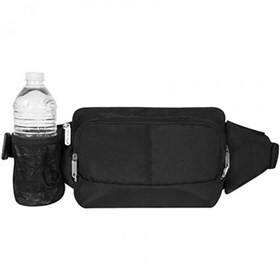 This waist pack offers plenty of room to carry everything you need, including your phone, camera and wallet, and now you can carry your water bottle too. 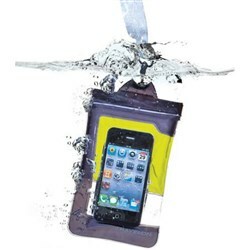 When not using the water bottle holder it tucks away in a zippered pocket for a smooth look. 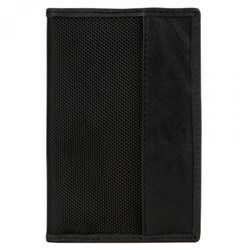 The roomy main compartment has well thought-out pockets which keeps you organized. 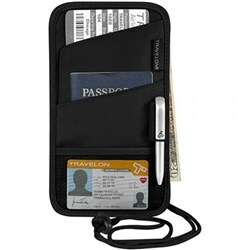 It also includes a bonus RFID compartment with card slots to protect your credit cards and passport. The Travelon Anti-Theft Classic Waist Pack has many exciting features for users of all types. You can extend the lifetime of your Travelon Anti-Theft Classic Waist Pack with the purchase of a FactoryOutletStore Factory Protection Plan. 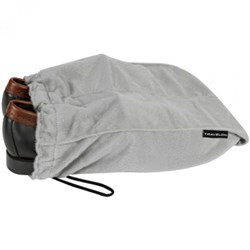 See the Travelon Anti-Theft Classic Waist Pack gallery images above for more product views. 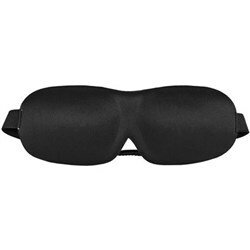 FactoryOutletStore stocks a full line of accessories like Boarding Pass Holder, Eye Mask, and Safe ID Classic Passport Case for the Travelon Anti-Theft Classic Waist Pack. 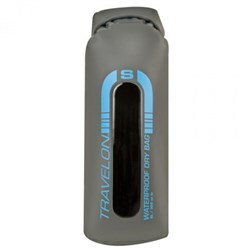 The Travelon Anti-Theft Classic Waist Pack is sold as a Brand New Unopened Item.